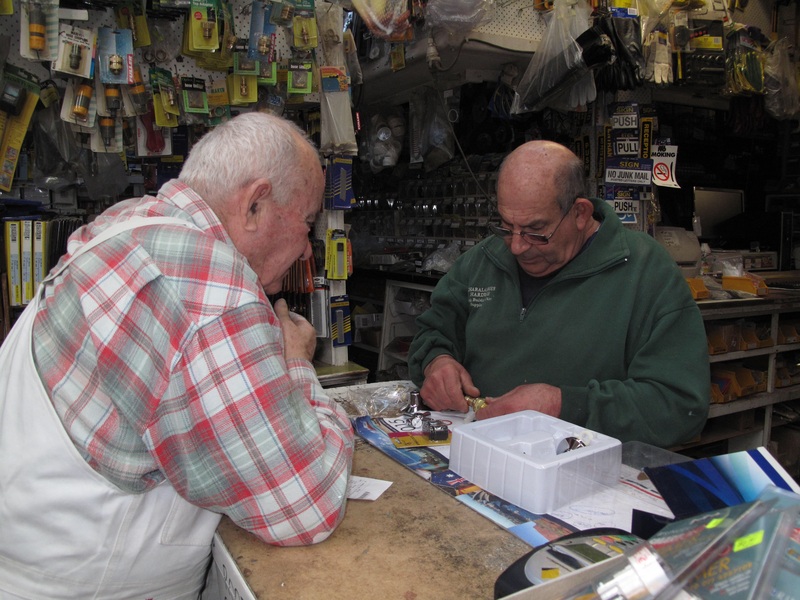 I went to Charalambous Hardware shop on Sydney Road to get a key cut, to buy some cucumber seeds and some honey from the Charalambous family hives somewhere down on the Mornington Peninsular; Father was snoozing as old age does. Patriach Father initiated this business more than half a century ago. He still comes in every day. Father came from Greece, he immigrated to a Land of Plenty and utilised his resourcefulness to build something of great beauty and immense value to the community. Soon there was an unremarkable group of customers patiently waiting to be served. Charlie is on the phone in the office behind glass. “You should engage some extra staff” . . . One waiting man said to Stan; “. . Too many people waiting to be served”. “The people who come here don’t mind waiting” . . . this was from me. “You’ll get that honey for free” was his response; but obviously this response is alien to what this family represents. Waiting your turn to be attended here is is an education . 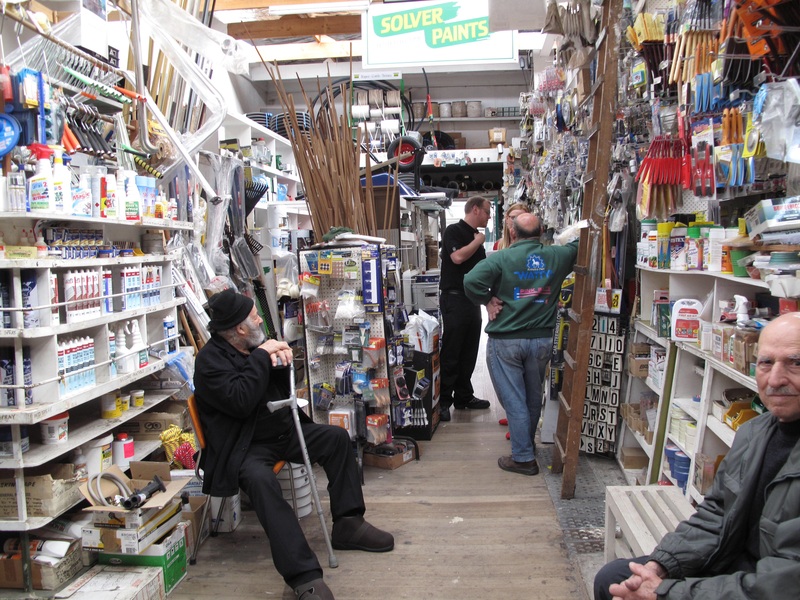 . . you learn lots of handy stuff since Charlie is constantly giving customers good advice on the proper use of materials from plumbing to plastering. Charlie gives advice and suggestions over the phone too. 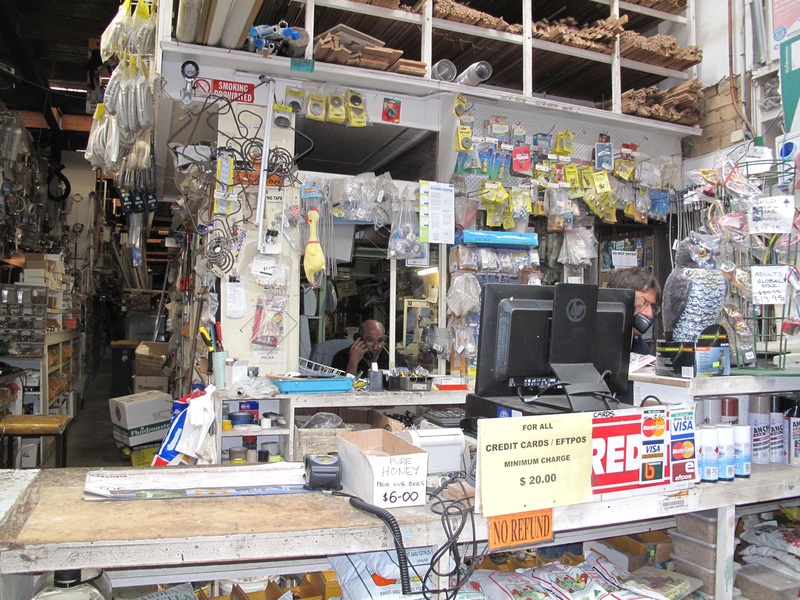 “I came in here once last year with my camera . . ” I found myself telling the warped attitude in a hurry . . “because I wanted to photograph this shop in particular. 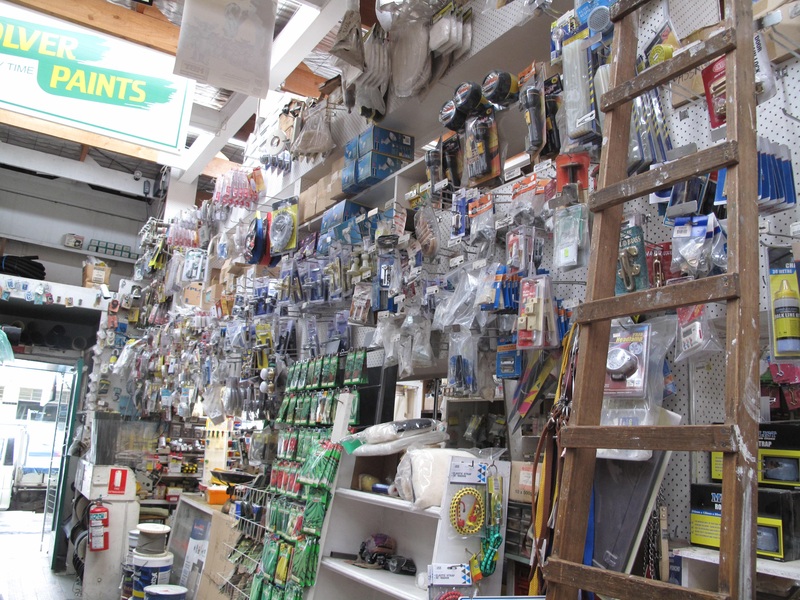 All the other customers I’ve met in here agree with me: we wouldn’t go to Bunnings for anything, even if they engage hundreds of staff to serve us in less time than here. 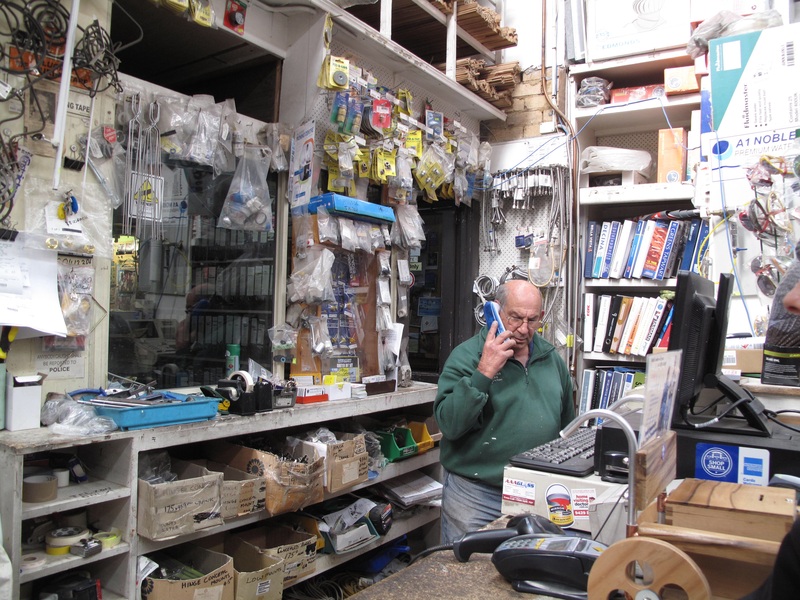 So I wanted to create a blog post about this Hardware shop and what it means, but some young men were here already that day with video cameras” . . . . the man clearly wasn’t listening. “Hey, that was us!” Said a man standing next to him. And yeah, Synchronicity happens in a place like this. 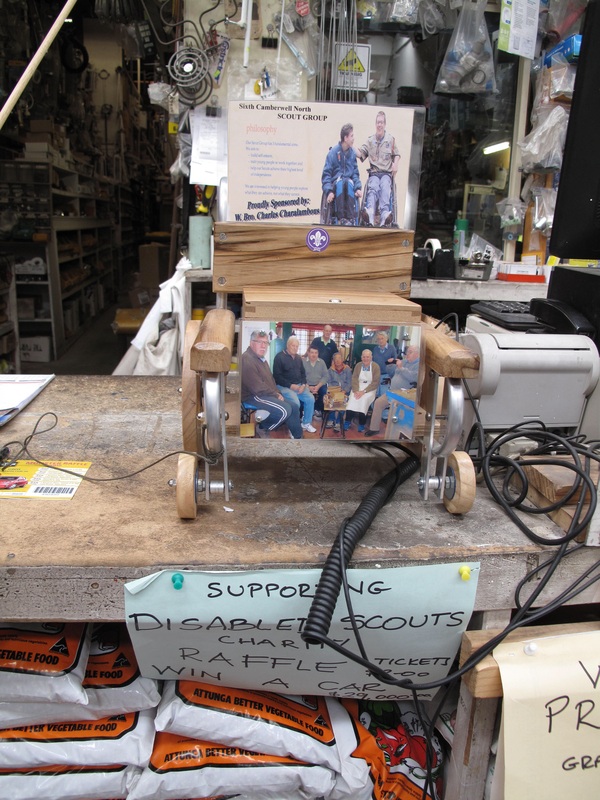 The disabled Scouts made this little wheelchair for Charlie. And Charlie loves it. “What did you do with your video?” I asked him, “I’d be interested to see it.” He gave me his card. The Mr Sink TV Show it is: http://mrsinktv.com.au. Check it out. “You know, when I’m in India my camera is constantly with me and I’m using it daily; but when I’m here in Australia I only photograph my grandchildren and my cats, only for posterity. Here on the side of the green grass, we are not interesting to me, because we are satiated to exhaustion; ingenuity is of no use here, money is noosed to time and of primary importance, we’re so stuffed! 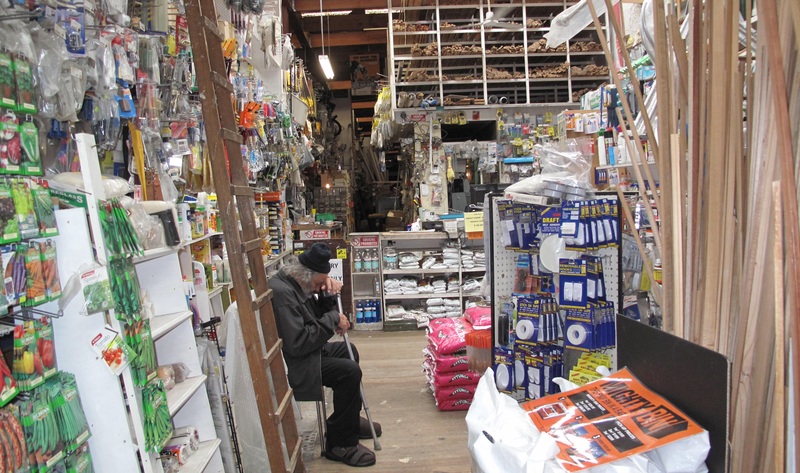 Now it happens today that you remind me that what this shop represents is well worth the effort required to photograph and write about it because it reveals something of priceless value.” The film-maker and his friend seemed to understand this. 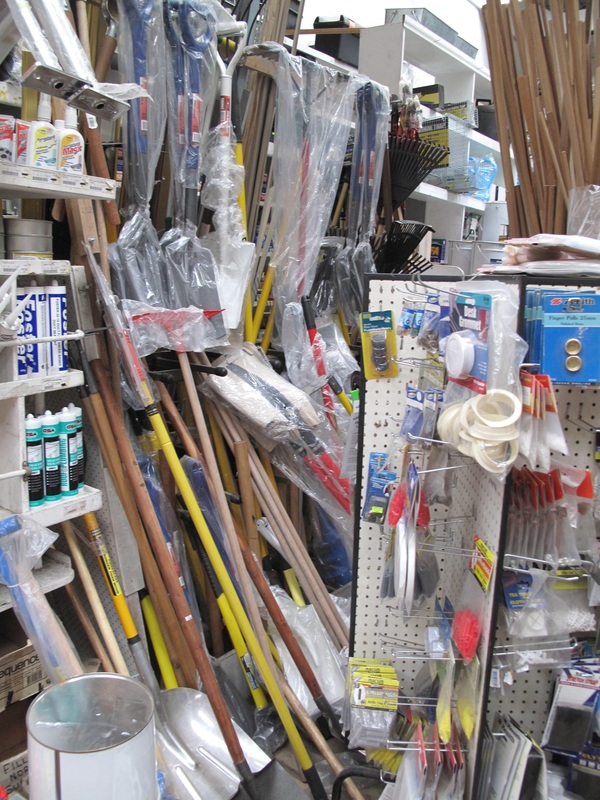 What then does this family business represent to me you may ask . . .well, part of the answer is that money is not the yardstick for value here. That’s unusual here these days. All this family’s regular customers are loyal because they appreciate this. It is a sad ear-mark of these times that not one great-grandchild of Father is in the least bit interested in carrying on this noble family tradition. I think what has happened here is that even the young progeny of resourceful immigrant families like this, grow up in the Land of Plenty hanging over a Bunnings fence with a Dog-Tag around their necks. This culture sports social-mobility with a money-carrot held up in front of all the donkeys. And they just love it. This family business represents what I perceive as Salt of the Earth. This is a rare thing, precious beyond imagination. It will be an honour to show these images and tell this story to friends on the Indian side, they will be able to relate to this because authenticity is a hallmark here and easily recognisable to other so-called unsophisticated authentic people. 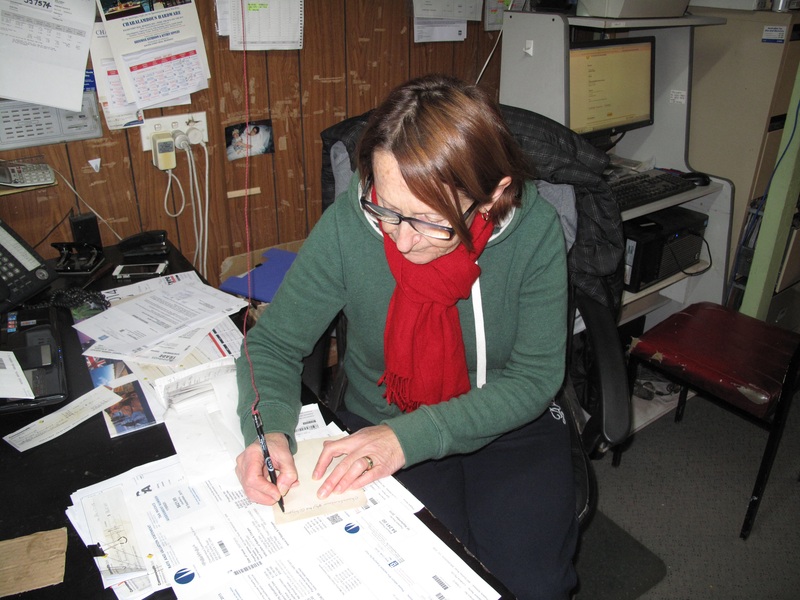 Marika, Stan’s wife, is a great help in the office as well as serving but I will need to go back with the camera to do justice to her. Charlie goes on a well-earned holiday tomorrow so Marika and Stan will be manning the shop together. . .